As part of its continued efforts to enhance the quality of learning and improving the use of technology in the classroom, the Bahraini Ministry of Education signed a 5-year agreement with Microsoft to transform learning, further innovation and develop employment skills for the 21st century. The Microsoft Education Transformation Agreement was signed by His Excellency Dr. Majid bin Ali Al-Naimi, Minister of Education and Sherif Tawfik, Country General Manager for Microsoft in Bahrain and Oman, in the presence of Nawal Al Khater, Assistant Under Secretary for Planning and Information, Bahrain’s Ministry of Education, Dr. Mohammed Mubarak, Assistant Under Secretary for Human Resources, Bahrain’s Ministry of Education, Anthony Salcito, Vice President, Worldwide Education, Microsoft Corporation and Samer Abu Ltaif, Regional General Manager, Microsoft Gulf. 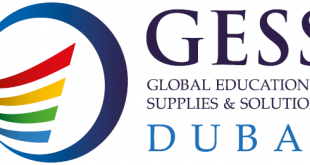 The signing ceremony took place yesterday, Tuesday 24 February 2015, at the Global Educational Supplies & Solutions (GESS) Forum in Dubai. “Our mission in the Ministry is to keep our education system upgraded to cater to the changes our society witnesses and to activate its role in building the Bahraini people’s future abilities,” said H.E. Dr. Al-Naimi. “We understand the importance and value of technology in primary and secondary education and seek to jointly – with Microsoft – improve both the access to and the use of ICT for the support of the teaching and learning process as well as for empowering every student with the 21st century skills.” He thanked Microsoft for their commitment to Bahrain and their constant investment in the Education sector in the Kingdom and around the world. Commenting on this announcement, Sherif Tawfik, Country General Manager for Microsoft in Bahrain and Oman said “At Microsoft, we believe that the economic competitiveness of every market depends in large measure on how effectively their educational institutions engage, inspire and prepare all students to learn and to innovate.” Tawfik praised the relentless efforts of the Kingdom to empower students, teachers and schools and encourage them to achieve their greatest potential by providing access to the latest technologies and the know-how to best employ these innovations to their advantage. Transform Learning: will support in equipping schools, students and educators with resources and knowledge needed to adopt technology education. It also helps provide students with uninterrupted access through services like Office 365. Further Innovation: will focus on encouraging school administrators, educators and students to innovate in using technology in learning and teaching within the classroom and beyond. Develop 21st Century Skills and Employability: will provide training programs, curriculum and certifications for students, educators and schools to acquire 21st century skills to better utilize technology in building the workforce of tomorrow, today.